“This repeal amendment gives states a weapon, a tool, an arrow in their quiver,” he told a group of state legislators assembled at the Hyatt in downtown Washington. Of course, states have fired similar arrows before, and it led to a Civil War and Jim Crow – but Bishop wasn’t going to get into that. Several amendments? Would it be easier if they just got some red pens and walked over to the National Archives to do the job? DANA MILBANK THINKS AMENDING THE CONSTITUTION IS A STRANGE WAY TO HONOR THE FOUNDING FATHERS. In doing so, he displays his ignorance. The amendment process, after all, is part of the Constitution. The Framers had no illusions that they were creating perfection, and believed in the sovereignty of the people and in the power of the people to revise the Constitution as needed, through the process they created. The idea that the text of the Constitution should be revised only through judicial reinterpretation is a modern conceit, and one that does no honor to the Framers at all. Milbank is nervous because Barnett’s plan has found support among Republican politicians including Virginia House Speaker William Howell and incoming House Majority Leader Eric Cantor (R-Va.). So in response he claims that amending the Constitution is a “strange” way to show “reverence for the Founding Fathers,” though of course those same Founders drafted and ratified Article 5 of the Constitution, which says, “The Congress, whenever two thirds of both houses shall deem it necessary, shall propose Amendments to this Constitution,” and then goes on to spell out precisely how those amendments may become the law of the land. Nothing strange there. Since the Repeal Amendment, proposed by Randy Barnett, can easily be portrayed as an effort to return to something closer to the balance of power provided for in the original Constitution, it is pretty silly to portray yourself as brimming with respect for the Founders when what you really support is the shift of power to the national government that occurred over the long stretch of time, a shift that the courts have allowed to take place. The mechanics of the amendment are also a bit odd. It would allow the repeal of any federal law – from civil rights to health care – if two-thirds of the states say so. But that could mean that the 33 smallest states, which have 33 percent of the population, have the power to overrule the 17 largest states, which have 67 percent of the population. Which is why we have both a House and a Senate, and it does seem odd to tinker with that very fundamental compromise. But let me add another concern, generated on one of those rare days when I fear our corporate oligrach overlords. Smll states are probably more easily bought. Citibank is a big employer in South Dakota, for example, and the insurance industry is very powerful in Hartford, CT. Giving these small states this new collective power would give our national and multinational corporations just another lever to boost their power. And anything that makes Nevada more powerful worries me. Professor Reynolds makes a valid point, and Professor Althouse is right that the relationship between the Federal Government and the states has changed drastically from the way it was envisioned by the Founders. 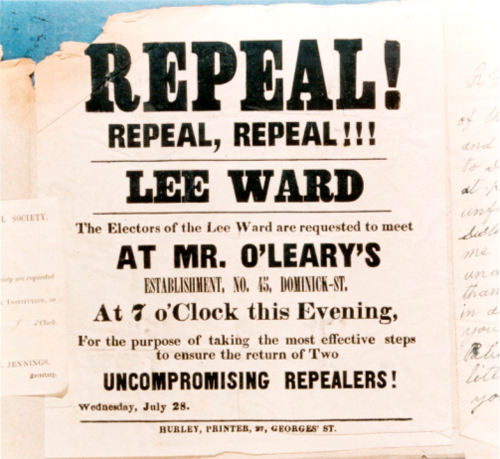 Part of that change, of course, occurred because of the passage of the 14th and 15th Amendments, which gave the Federal Government significant authority over the the states when it came to due process, equal protection of the laws, and voting rights, and the 17th Amendment, which altered the manner in which Senators were selected. All of these significantly altered the relationship between the Federal Government and the states, and those alterations were done in what is, as Instapundit himself points out, a perfectly Constitutional manner. It’s also true, of course, that a whole series of Supreme Court decisions has also contributed to the changed relationship between the Washington and the states. Some of those are based on wildly incorrect interpretations of the Commerce Clause, others, however, are simply a natural outgrowth of the Incorporation Doctrine, which applied the provisions of the Bill of Rights to the states. Because of that doctrine, the Supreme Court has ruled that states are bound by the provisions of the Fifth, Sixth, Seventh, and Eighth Amendments in criminal matters, that they cannot engage in unreasonable searches or searches without a warrant, that they must comply with the provisions of the First Amendment, and that they cannot impose a blanket ban on the ownership of handguns. All of these restrict the power of the states, but they do so in a manner which actually increases and helps to protect individual liberty. Finally, the Civil War itself was the beginning in a change in the way Americans thought of their country. Where it used to be the case that people thought of themselves primarily as residents of their state, Americans today tend to think of themselves as Americans first. On top of all that, a long history of movement from place to place that people don’t necessarily think of the state where they live as “home” any more. For better or worse, going back to the Founders “original intent” on this issue is impossible simply because so much has changed over the past 223 years.